Montalvo Arts Center (a nonprofit member-supported organization) offers its Carriage House and Garden Theatres to corporations, nonprofit organizations, community groups and individuals for a range of events. All venues are wheelchair accessible. 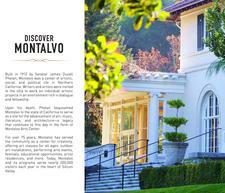 Please contact Caitlin Dieni at cdieni@montalvoarts.org or 408-961-5829 for a consultation and tour. 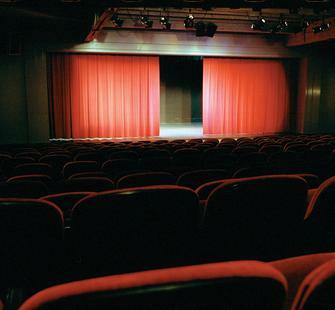 The indoor Carriage House Theatre seats 300 and can be used for training, awards ceremonies, product launches, comedy shows, film screenings and more. It is equipped with professional sound/lighting, rdressing rooms and managed by our professional production team. Adjacent to the Carriage House Theatre is the Project Space Gallery, which can be used in conjunction with our other venues or on its own for a small meeting, luncheon or cocktial reception. We can custom design art activites for your event via our Programs Dept. and our artists in residency. The outdoor Garden Theatre, originally built by Lilian Fontaine (mother of Oscar-winning actresses Joan Fontaine and Olivia deHaviland), is home to our famous summer theatre and musical programs. It is also available for private and corporate events. The theatre is nestled against the hills surounded by 100-year old trees and sculptures placed by Senator Phelan. The Garden Theatre can accommodate groups as small as 100 and up to 1100.